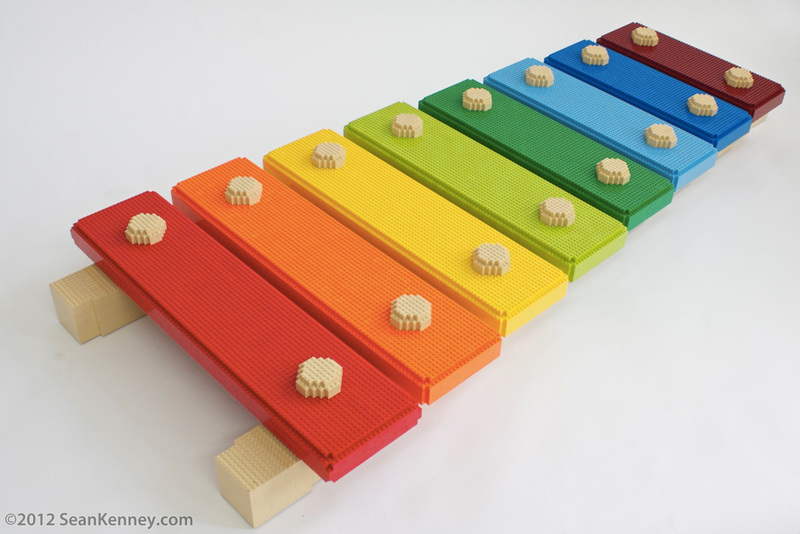 After building a tiny 8-inch xylophone for my new book Amazing ABC, I desperately wanted to create a giant version. It was so colorful and fun looking that I wanted to feel like a tiny person surrounded by a giant toy. Our eyes are funny with color: sometimes you can put one color next to another and it makes the color look completely different. In this case, I was particularly happy with how the LEGO "Dark Red" color looks like purple when it's placed next to blue. The sculpture is 6 feet long, contains over 13,500 LEGO pieces, and sounds absolutely terrible.